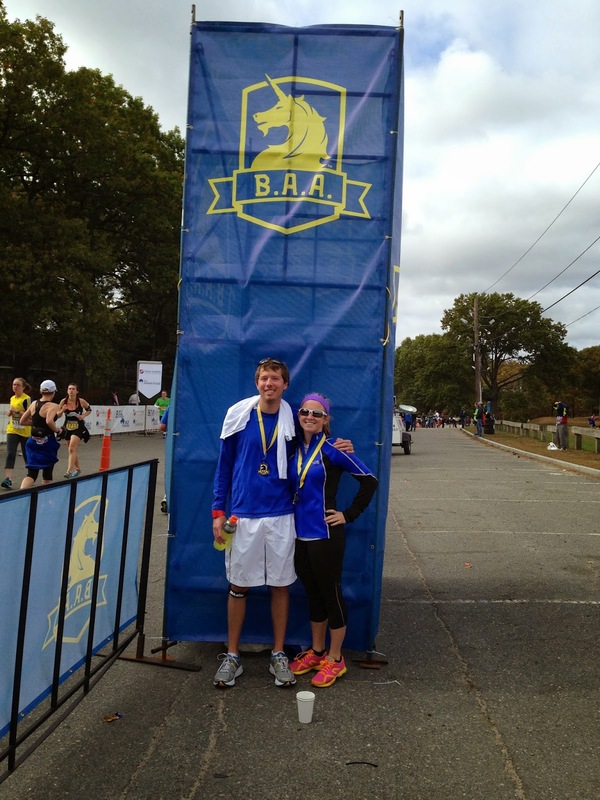 Boston was a fast trip but a lovely race. This time the brosef decided to join in the fun again and make it a family affair. 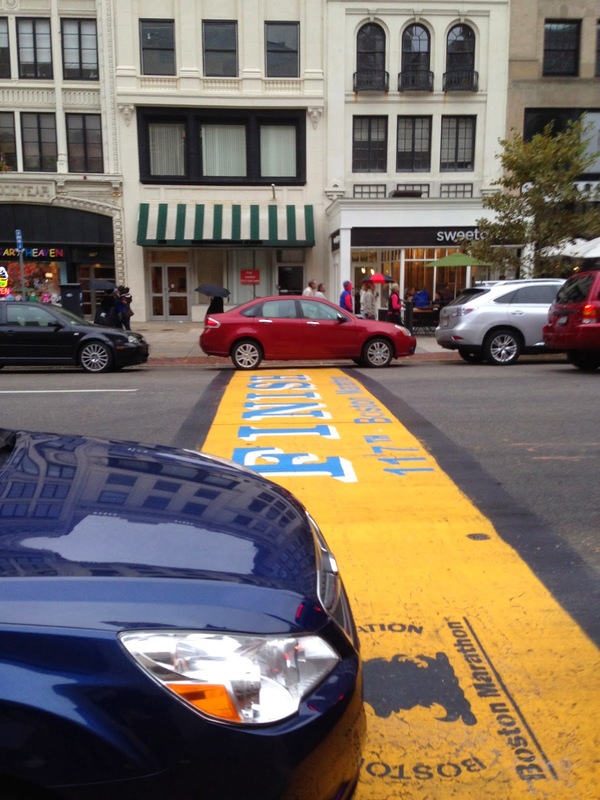 On Saturday, we ventured into the city and visited the famous Boston marathon finish line. Coach Tony met up with us and we chatted, strategized and walked around a little. There was no expo so they mailed us our bib numbers. Sunday morning we woke up, headed over to Franklin Park where the race would start and waited for a little. The temperature was perfect hovering around 52 and sunny. I had to run to the bathroom and the lines were outrageous so into the woods I went. The race started and there was definitely a good chunk of spectators throughout the course. It was a strange loop with lots of rolling hills but nothing too terrible. It started to get a little windy which was more of a nuisance because of the wind blowing leaves and dust into my face. For the last two miles of the race it was completely uphill, so I could have done without that, especially since I was on pace to break 1:40! but those last two miles did me in. I finished with a time of 1:43, and a distance of 13.28. A Little bit longer than it was supposed to be. We finished on a track which was strange and were immediately given our medals and directed out towards the food tent. Once through we were then allowed to pick up our shirts. The shirts were very nice, I honestly think that was one of the best things about the race. 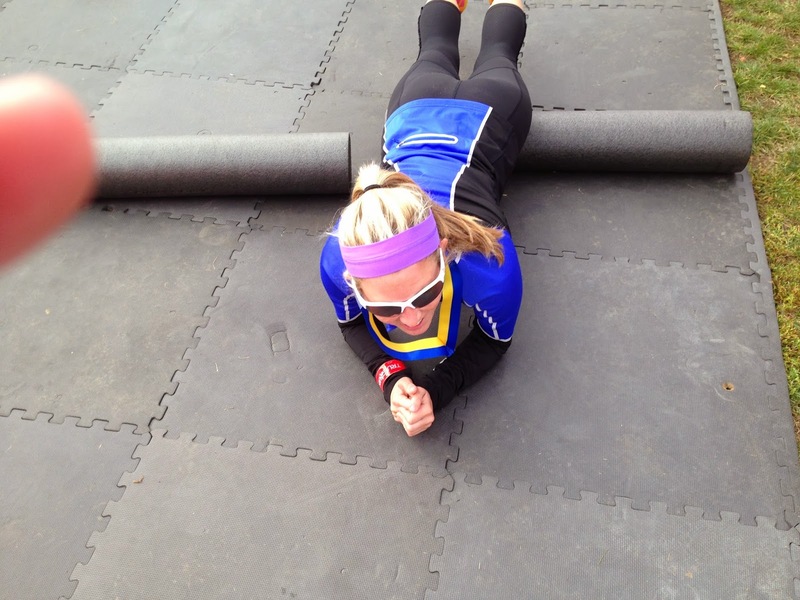 I was tight in my quads after the race, so they had a place to foam roll, and I took advantage. Neil thought it was funny and took a picture of me doing it. Overall, still a great race for me, lovely day and Neil PR’d with a time of 1:47.